The Particle Switch is basically an AC circuit switching hardware. At its heart is a WiFi-enabled microcontroller which is controlled through a custom Android app. The basic working of the hardware is that it takes the 230V AC from the wall and converts it to 5V DC. This is further step down to 3V to supply power to the microcontroller. Here we are using the Particle Photon as our microcontroller because of it’s wifi capability and the amazing community where you can get all the info and support related to the device and it’s related software. 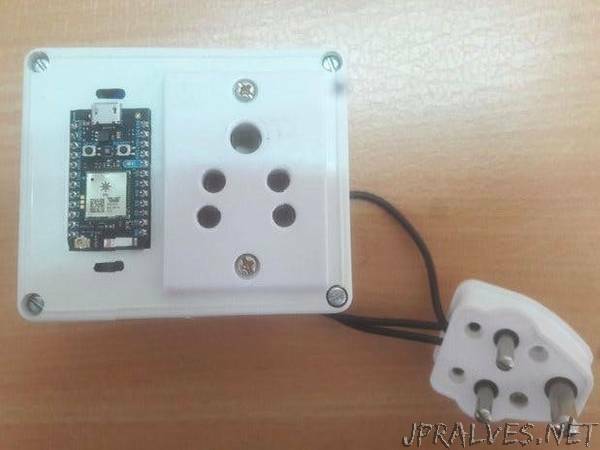 This device is used to switch on or off the AC circuit of the wall socket by switching it’s GPIO pin D0 to control the switching circuit.